Boost your productivity with new these 3 habits. 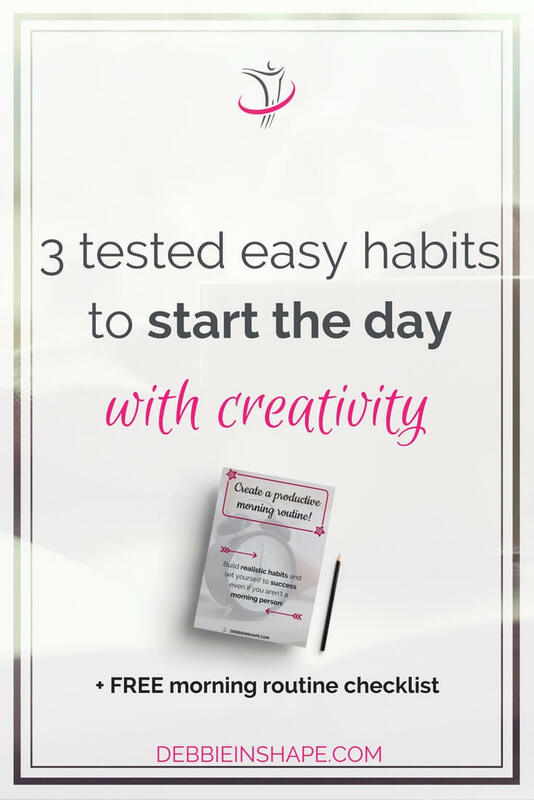 Start your day with creativity even if you aren’t a morning person. 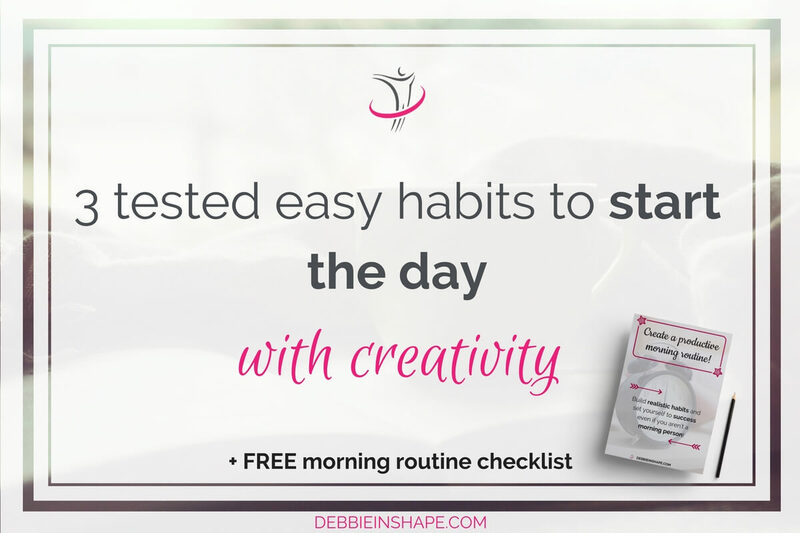 Creativity plays an important role in my work, but because of my busy calendar, I found out ways to add it to my morning routine to boost my productivity. Every day, I do my uttermost best to make breakfast a pleasant experience. I know very well it’s THE most important meal of the day. Since I am not a morning person, though, eating does not feel appealing before 8 AM. To compensate for my traditional (bad) mood, I try to keep myself busy with other things while chewing my oatmeal and sipping some coffee. In my search for productivity, I discovered that there is nothing better to do than to kick-off the day with creativity. You just had hours of rest and time to reset your thoughts. When you wake up, you’re like a sponge. You’re ready to absorb new ideas and to work them out in a productive way. Sincerely, I have no problem eating standing. As long as my shoes are comfortable, give me all the walking dinners you can get. But in the morning, I developed this simple routine throughout the years that consists of sitting at a table with my meal and my phone. Maybe you think it’s obvious, but many people just grab their cup of coffee and rush from one room to another trying to get ready to work or school. Instead of allowing their bodies to wake up naturally, they go full throttle immediately. Depending on my mood and on how much time I have before my first appointment of the day, I adapt the duration of breakfast. Many times, I just play some video (like watching replays of the CrossFit Games on YouTube) or listen to relaxing music. Recently, I also watch Instagram Stories. It’s fun to see what everyone has been up. I used to be much more active in the social media in the first hours of the day, but I turned it down for the sake of avoiding multitasking. Still, I love to expose myself to things that inspire my creativity before leaving home. When you’re a night owl like me, you probably don’t get out of bed jumping up and down from excitement either. Yet, you can set the tone for a productive day without stress. In the weekend or whenever I don’t work out in the morning, I take more time for creative activities. After breakfast, I save myself between 10 to 30 minutes for inspiration. It also works wonders for stress management. I love reading and I pretty much like to read anything. When I was a child, not even dictionaries escaped my endless desire to read. Even if you aren’t such an avid reader, or you aren’t into in the morning, there’s always something interesting you can go through. You can read articles, blogs, or quotes from your favorite authors. For blogs, I like to use Feedly. There, I categorized my favorite blogs and read them whenever I have the chance too. The advantage of using a feed to filter your favorite sites is how more productive your reading time becomes. You don’t waste a minute searching or browsing uninteresting sites. You can find everything you love in one place, on the spot. Your goal with this routine is to stimulate your creativity, not to feel stressed.Make time for emails and the news later and avoid drama at all costs. It won’t do you any good or bring you closer to your life goals. Make time for emails and the news later and avoid drama at all costs.It won’t do you any good or bring you closer to your life goals. It won’t do you any good or bring you closer to your life goals. Instead of just reading some nice articles, why not writing them yourself? I know you won’t be able to write an entire blog post or the story of your life, but what about a journal entry? Writing in your journal is an excellent way to declutter your thoughts and clarify your priorities for the day. You can use a notebook, a bullet journal, or a paper planner for it. I use a horizontal Erin Condren Life Planner as my reflection journal. Even though I generally make my notes in the evening, I like to have at hand for moments of inspiration. Also in the morning. Anything that inspires your creativity is welcome. Don’t hesitate to make drawings or play around with a coloring book. Because social media isn’t all that bad, you can still add it to your morning routine. Just make sure you track the time spent with it. Maybe naming Pinterest a social media platform doesn’t fit anymore. It has grown so much in the past years that it became more of a search engine than anything else. You can find pretty much anything you want there and save it on Pinterest for later. Twitter is also a great way to catch-up with the latest in the world of creativity. A tip to avoid wasting time with your Twitter feed is creating groups and filtering the handles you follow by subject. Leave your notifications and messages for an appropriate time of the day, though. Did you notice that I was specific about Facebook? Not your feed, but groups! The reason is the quality of the content. Remember that you don’t want to start your day engaging in conversations that won’t bring you closer to your goal. 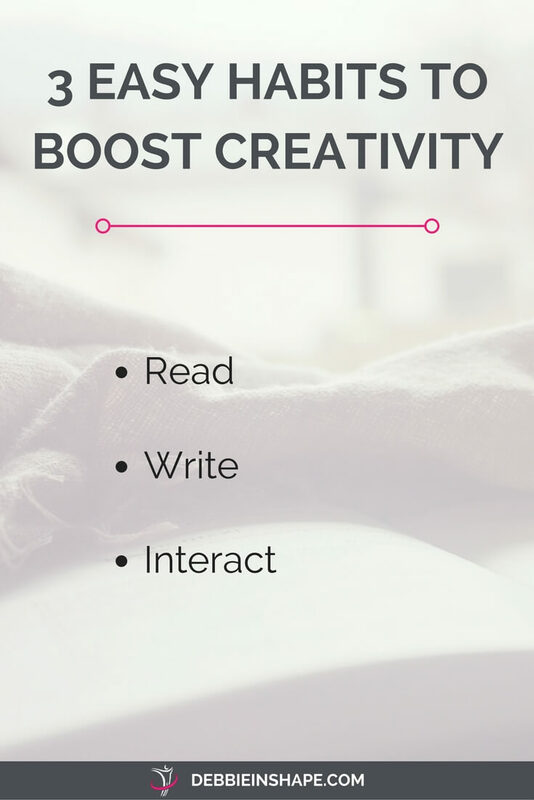 Instead, you want to feel energized and creative for your incoming projects and activities. Share daily challenges on weekdays. Post inspirational quotes on Saturday. Offer an Office Hour on Sundays. All posts are directed to help members become more productive without added stress. What you are going to do and for how long depends on your preferences and availability. If you can’t spare any minute before leaving home, you may use your time when commuting (that’s when you use public transportation, of course), queueing, or waiting for the kids to get ready for school. We all need creativity, including if you have a traditional office job. 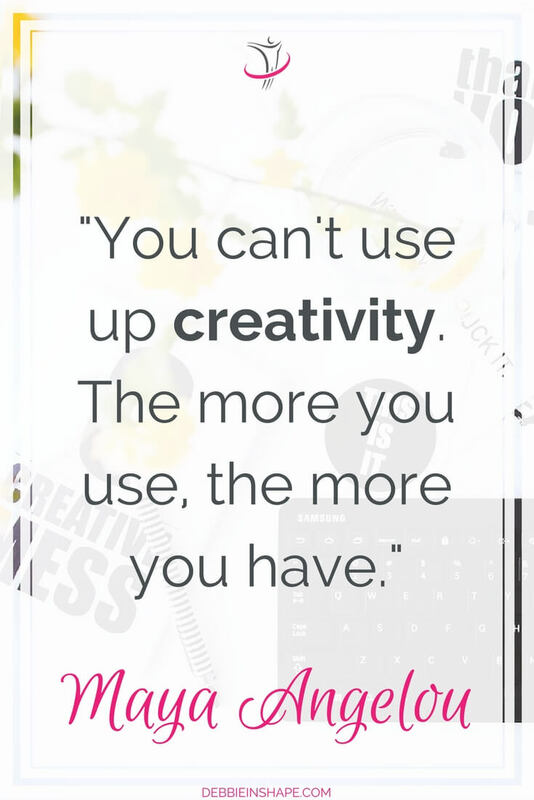 According to a report from the World Economic Forum, creativity is going to be a top-3 skill in 2020. Why waiting to exercise your creative muscles? To figure out which creative habit works best for you, give each one a try for a week or 2. Have in mind you’ll need to build the habit before they become natural. No matter how long it takes you to find your favorite creativity channel, it’ll be worth it. Not only you’ll become more productive, but you’ll feel more relaxed and inspired even if you aren’t a morning person. Check also these tips on how to start your day with less stress. NOTE: I originally published the first version of this post in 2014. It was kind of lost in my archives. Since the topic is as relevant now as when I wrote it, I thought it was a nice idea to update it and share it with you. Disclaimer: Some of the links in the post above are “affiliate links.” It means if you click on the link and purchase the item, I will receive an affiliate commission. You will not pay more when buying a product through my link. However, when you order through my link, it helps me to continue to offer you lots of free stuff. Regardless, I only recommend products or services I use personally and believe will add value to my readers. Thank you, in advance for your support!